One of our favorite things about being a part of people’s special day is being able to customize their music to fit their sense of style and taste. Kelsey and Jimmy were a wonderful union of classic rock and indie music that helped create a memorable musical experience! 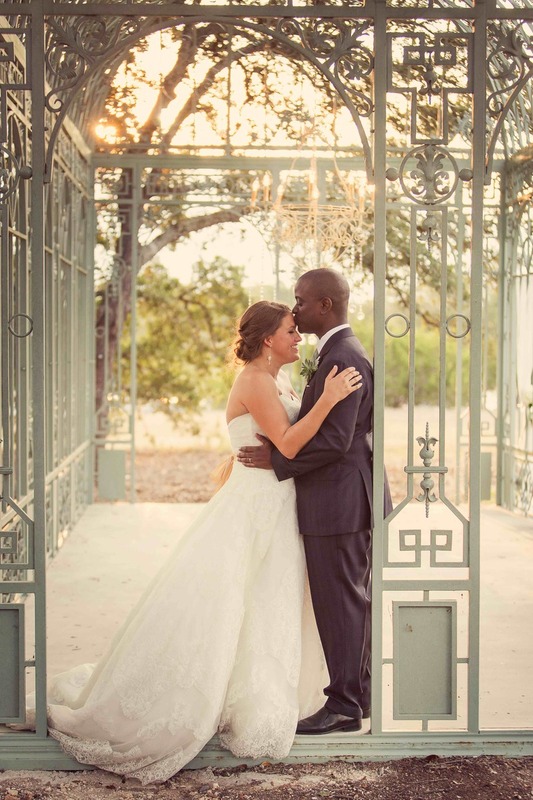 Kelsey and Jimmy met while attending The University of Texas at Austin. They were in the same co ed organization and met at a retreat. Kelsey needed someone to throw a football with and Jimmy hapilly volunteered. 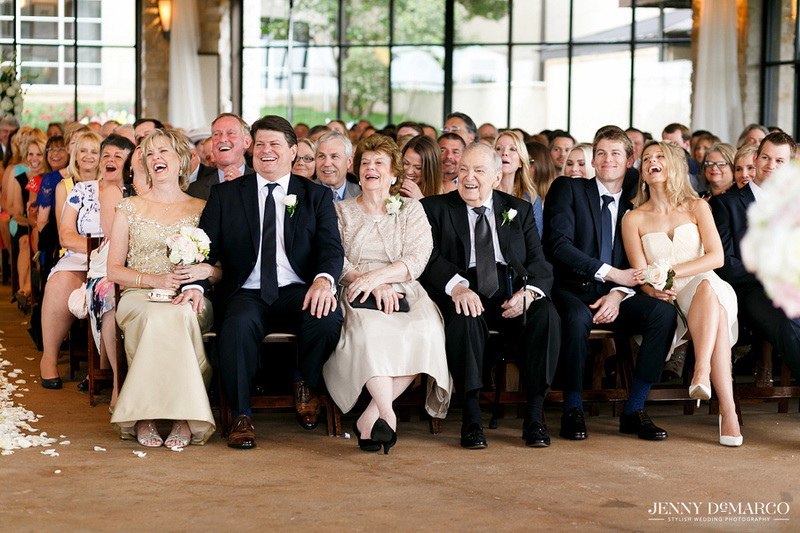 4 years later, Jimmy proposed at the same spot and surprised Kelsey with a celebration that evening with their closest family and friends. 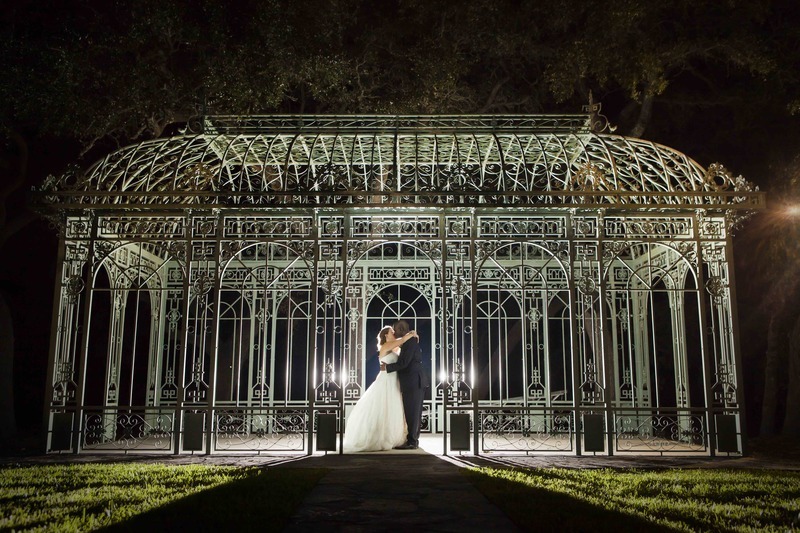 Their wedding took place on November 6 at Barr Mansion, on their 5 year dating anniversary. 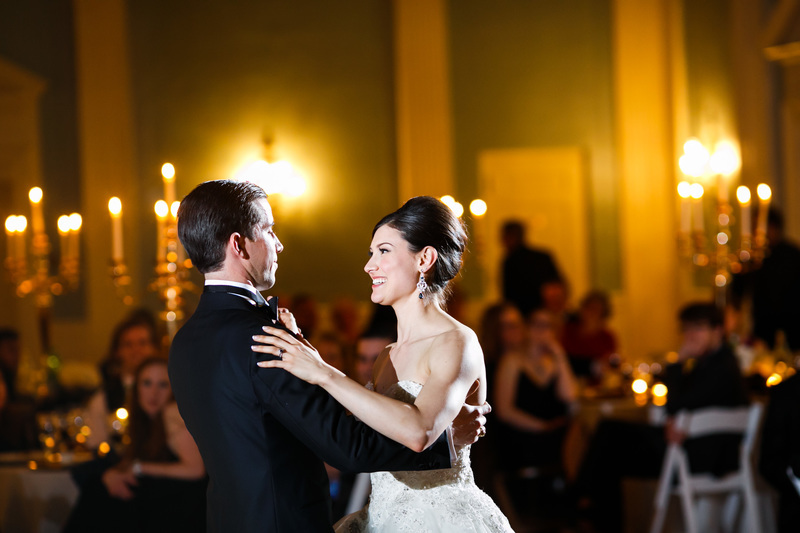 They did an incredible job fusing their musical tastes together to create a playlist that flowed well together and that was very entertaining for their guests (and enjoyable for us to play). Whenever we prepare to play music for a wedding, we begin by getting to know a couple, their family, their story, and their personal taste. Mallory and Scott recently had a great wedding story, and gave us the honor of participating in a family tradition. As we got to know them better, we discovered that they Mallory came from a family familar with wedding music. Her Grandmother, Fran Slack, was a pianist. She played Wedding Bells by Dudley Peele as part of wedding prelude music at numerous weddings for more than 40 years, always dedicating the song to her husband Jack. She also played it in church the Sunday before their wedding anniversary those same years and as recently as July 2015 for their 65th wedding anniversary. 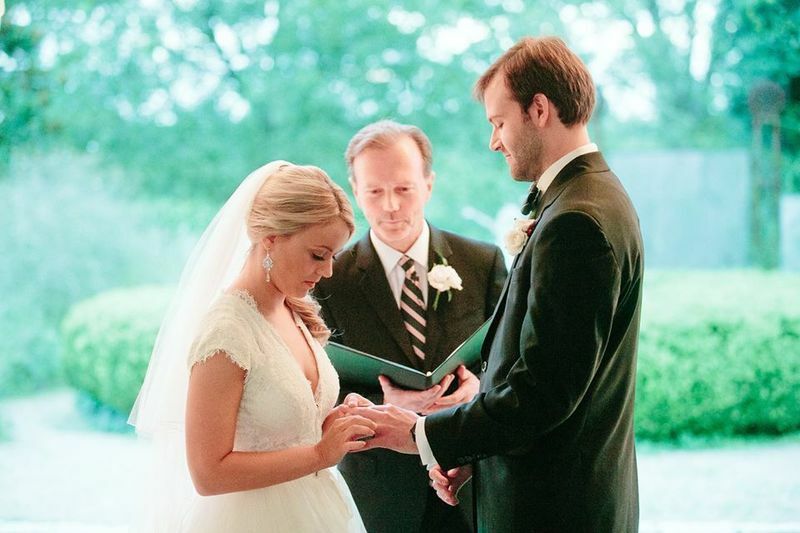 Mallory and Scott met as Freshmen at Texas A & M through mutual friends that were in a freshman leadership organization. Even though they were young—Mallory was only 18—they knew they were a great match. Your music should be a reflection of who you are and we want you to be yourself! Check out the latest awesome tracks we have added to our library and Thank You for your help in creating this list! 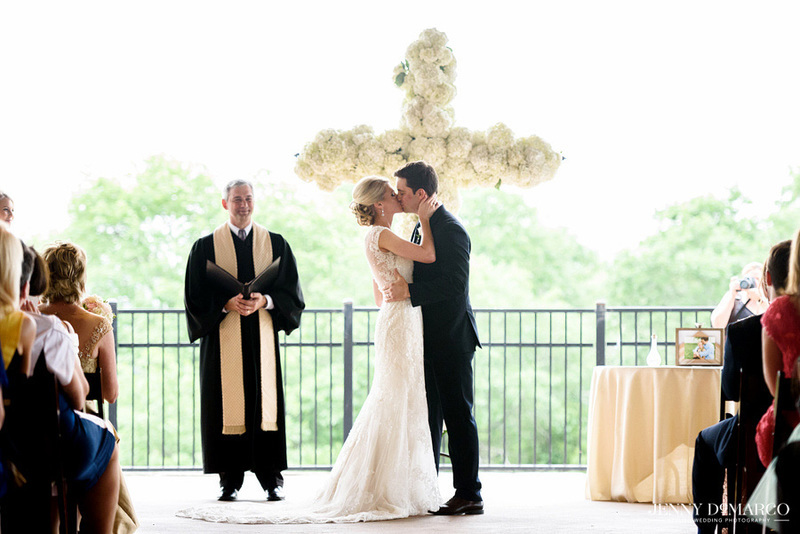 There are a lot of reasons we love playing music for weddings. But if we had to choose a favorite, it might be participating in so many the great stories. 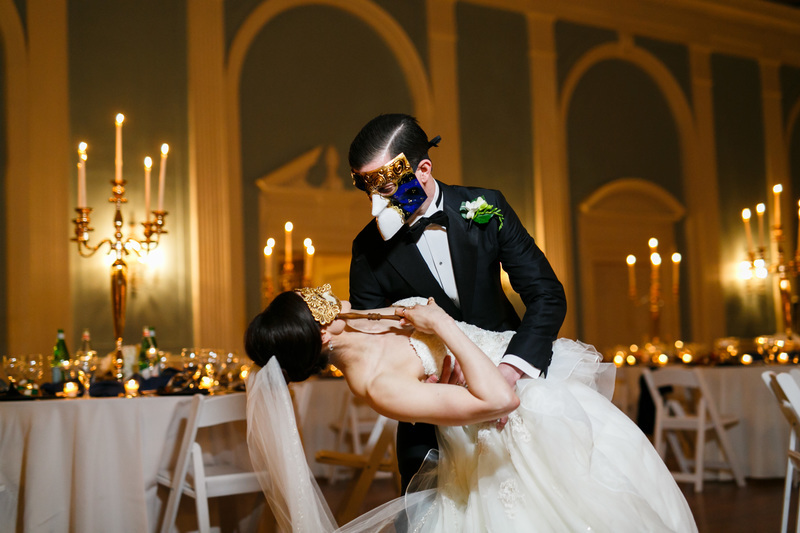 Recently, we got to help a pair of high school sweethearts tie the knot at a Masquerade! Ashley and Patrick have known each other for a long time. They met when they were just in hight school, taking classes in computer science. When it came time to head off to college, they went their separate ways, Patrick to UT and Ashley to UTSA. But that bond forged over pixels and keyboards remained strong, and they officially became a couple their sophomore year. Ashley and Patrick love to travel, and it was during a trip to Italy that everything changed. After seeing the classical art in Florence, they headed the canals of Venice to take in Carnivale. They watched a delightful costume contest and then spent some time wandering around on a bridge where they could get a lovely view of the City of Masks. 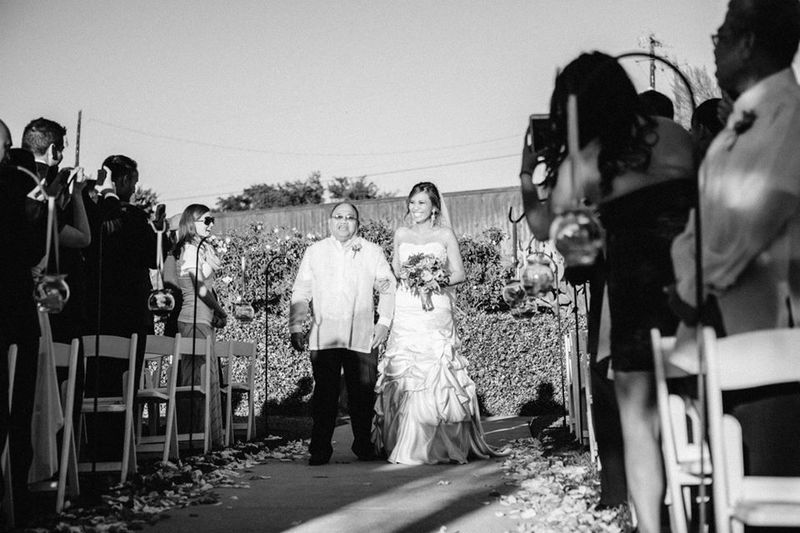 Part of why we really love taking a very personable approach to helping people plan their wedding music is we get to be inspired by their story. Kenda and Clai's is one that it teaches us about how love and commitment can withstand the test of time and distance. We hope their story is inspiring for you! 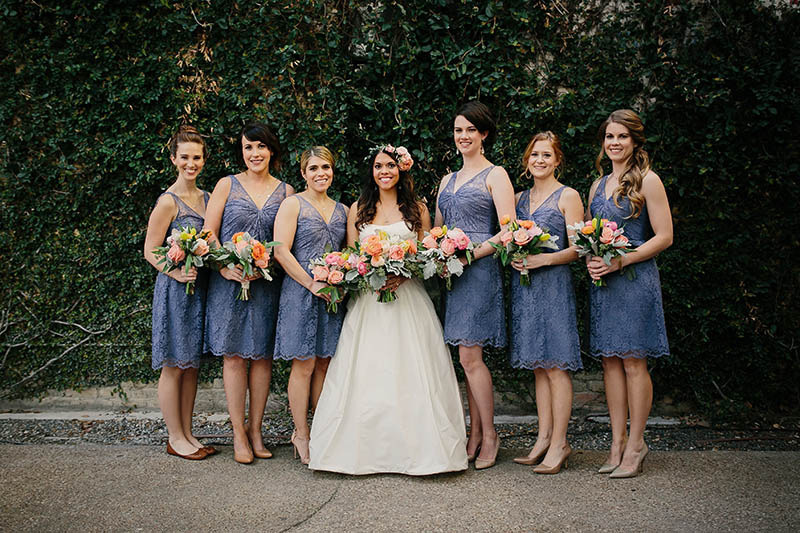 Kenda and Clai met on their high school debate team in South East Texas. They pursued their love of debate through college, competing nationally. After college and law school in North Carolina, Clai moved to Dallas to pursue his career, while Kenda moved to DC to pursue her masters at Georgetown University and begin her career in international development. Eventually, Clai's career took him to London. Coincidentally, Kenda passed through London for a book launch, after writing a few chapters in a book. They met up again and started dating within 24 hours. "If it's meant to be, it is possible." 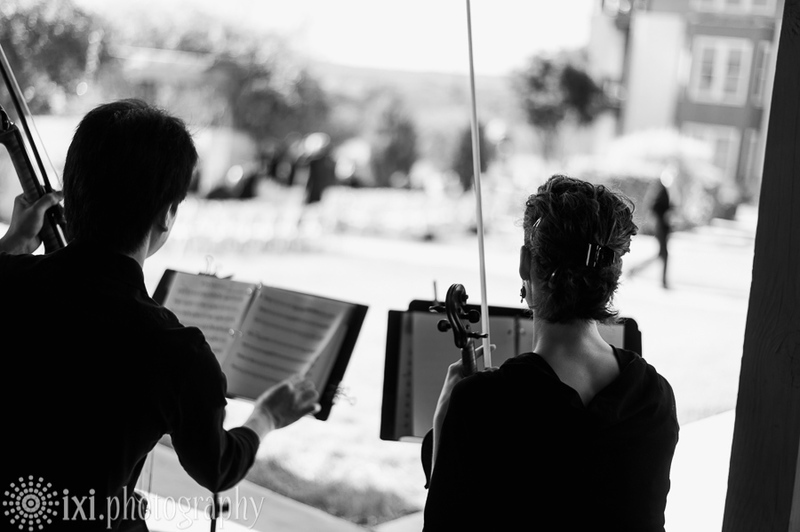 Shanna and Thomas Hunter are dear friends of Terra Vista Strings. Their story is an inspiration for why we do what we do! Thomas was a professional chef was working at Arro, a modern French restaurant in Austin when he decided to go in a different direction. He hatched a plan with a friend to move from Austin to North Carolina to start a restaurant of their own. Although he had other plans, a friend convinced him to move his going away party to the Parish, a music venue on 6th St. in Austin, TX. It was a good thing he did! Although it is normally a packed club, the Parish was quiet that night. As Thomas walked past a group of friends sitting by the bar, he was caught off guard when a cute brunette winked at him. That brunette was Shanna. Sitting nearby was a mutual friend. Thomas got a quick introduction, and they spent the next three hours immersed in conversation. Are you planning your wedding by yourself? There are certainly a lot of things to think about. Getting everyone lined up for your wedding can be very easy! 1. 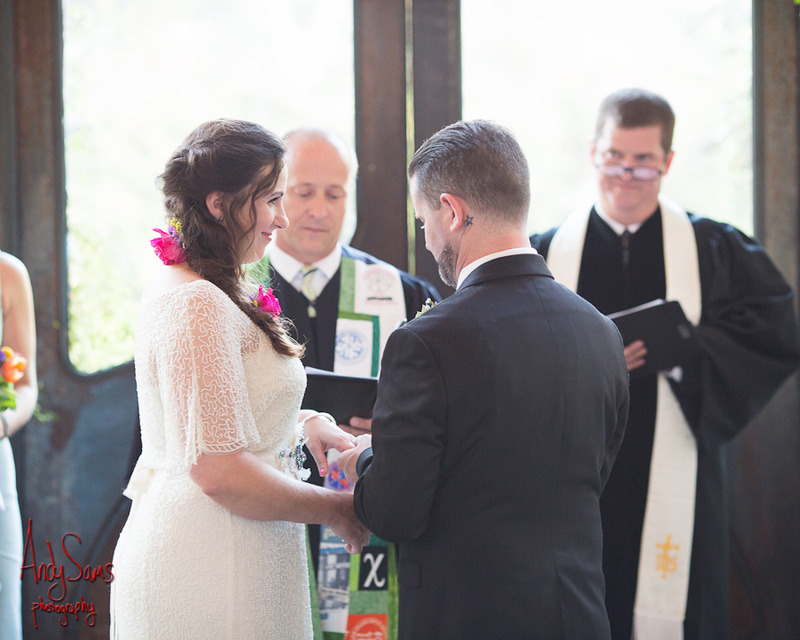 Have your officiant line up with all of your entire wedding party (families, bridesmaids and groomsmen, kids, and of course the bride). You have dreamed about your perfect walk down the aisle and want everything to be perfect. The sunny day, the beautiful flowers, cute kids, and of course your exquisite wedding dress; all of which, when set to the right music can make you feel like a movie star in your own romantic film. So how do you time the music with your walk down the aisle? Have clear communication between you, your coordinator, and your musicians to make sure that this is as easy as possible, so you can walk as slow or as fast as you’d like, and when you reach the front of the aisle, the music will fade out within about 5 seconds in a place that is appropriate and musically pleasing. We highly recommend this method as it makes things very easy for you. How should I choose my prelude music? "How many songs should I choose to fill the 20-30 minutes of time before my ceremony?" Not to worry, we have helped guide many people through this question and we hope this article will shed some light on the subject. 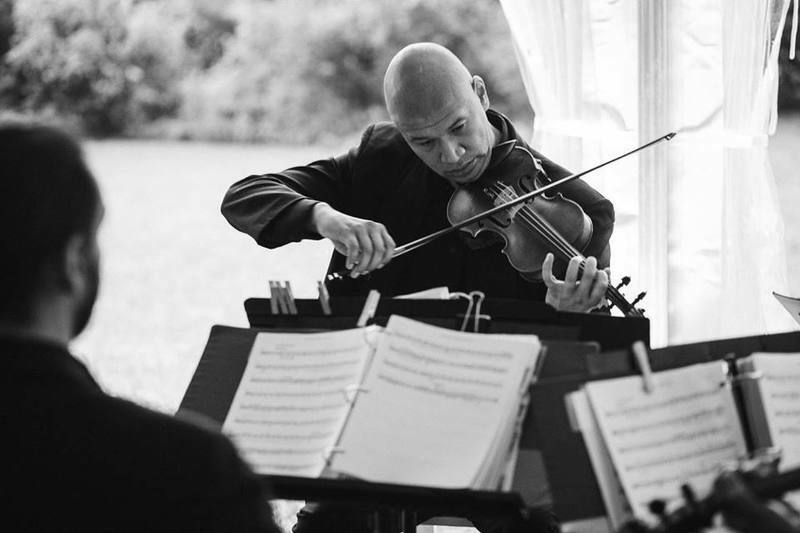 The music that is played during prelude is music that should be geared towards rewarding your guests who arrive early with great music, while you are putting the finishing touches on looking amazing for your walk down the aisle. That being said, we don't necessarily recommend to put a number on the amount of songs that are played, as the length of each song certainly varies. Rather, we advise to choose a genre or a group of 4-5 songs that would perhaps reflect your personality or the taste of music that you think your family and friends will enjoy. You have big hopes and dreams for your wedding. Maybe you’ve been planning it since you were a kid. 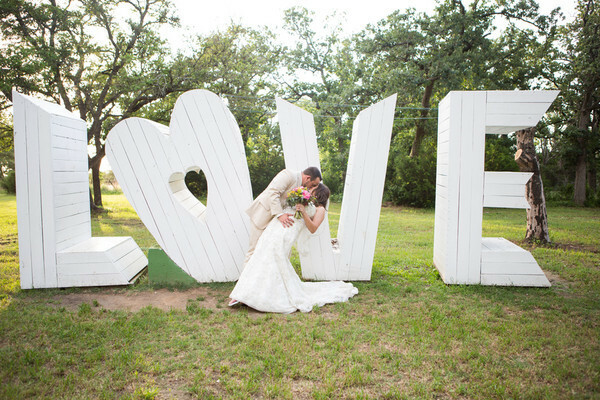 You have visions of the perfect dress, tux, and venue. But once you start planning it, you can get a little overwhelmed. Which color do you want the dress? Which cake tastes the best? Where will everyone sit? You can’t hide from these questions, but you can take a break and focus on something fun: The Perfect Wedding Soundtrack! This process should always be positive and never stressful for you. For once in your life, you get to make choices that reflect who you are and what you love! Don’t worry: You don’t have to do it alone. 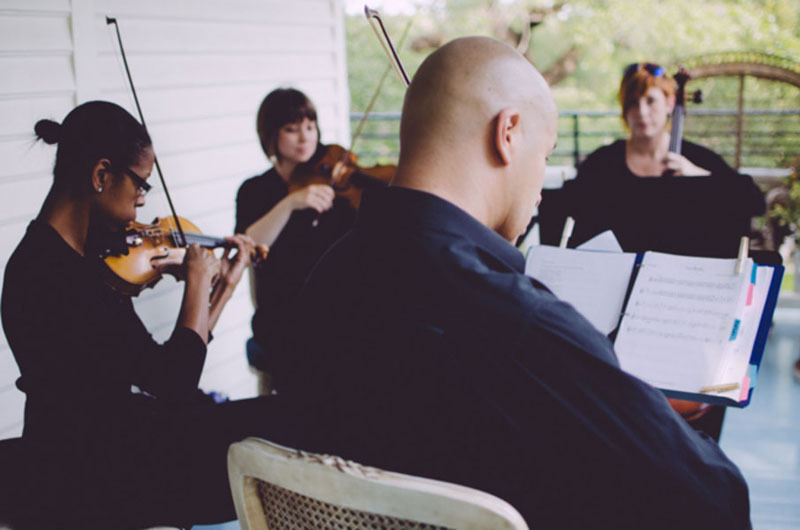 In fact, helping you find music is one of our favorite parts of what we do at Terra Vista Strings!